Millions of people around the world suffer from diseases that exhibit early warning signs that can often be revealed by standard clinical-grade diagnostic tools. Unfortunately, such tools are often prohibitively expensive to the developing world, and lives are lost as a result. 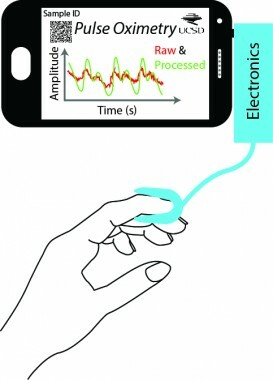 This project will develop an ultra-low-cost device, capable of simultaneously measuring blood oxygenation, heart rate, and heart rate variability, that relies on the processing, connectivity, and power resources of mobile phones. The team’s design relies on the use of mobile devices. The pulse oximeter circuitry is clipped onto a patient’s finger and connected to a mobile phone through the audio jack, which is commonly found in all mobile devices. Utilizing the phone as a processor and power source, the project costs significantly less than commercial medical devices. To ensure widespread dissemination, the hardware and software developed as part of this research effort, including schematics, firmware, and software, will be made publically available for anyone to download. Documents will be uploaded in an open-format to allow researchers anywhere in the world to make these devices. Ideally, stakeholders (entrepreneurs, public-private partnerships etc.) in low and middle income countries will then take the lead in translating such research to clinical practice for improving healthcare delivery in their countries.